The history of the skyscraper is inherently linked to that of the elevator. It is interesting to note that although structurally speaking the skyscraper has evolved enormously, it is still a vertical structure, dictated by the elevator, which in its effort to go up, it only meets a dead end. The lack for alternative methods of moving through floors (the elevator’s refusal to bend) has determined the typology of the skyscraper for the last hundred years or so. This proposal wishes to expand the understanding of high-rises, beyond a high FAR structure, or an extrusion of a plan. The proposal’s main concept is simple: that the idea of moving up in a building can also mean moving to somewhere else in the urban fabric, taking the pedestrians’ relationship to the city as decisive design factor. 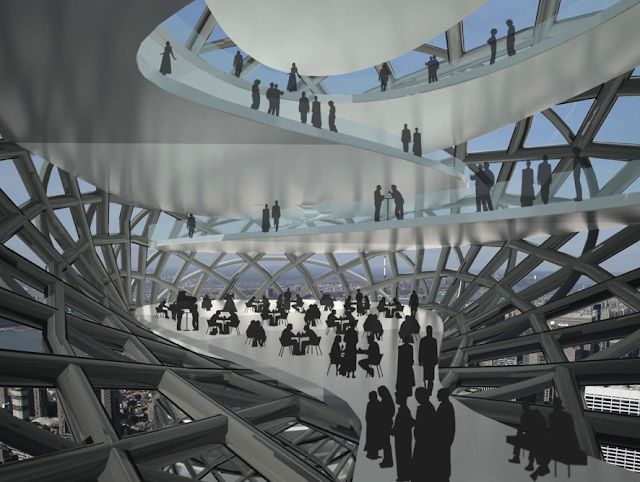 The concept converts the traditional structure into a double-ended skyscraper, making it rise and fall again, linking two sites and transforming the structure into a wormhole in the city. As thus, the building also becomes a public transport system, and accessible landscape. 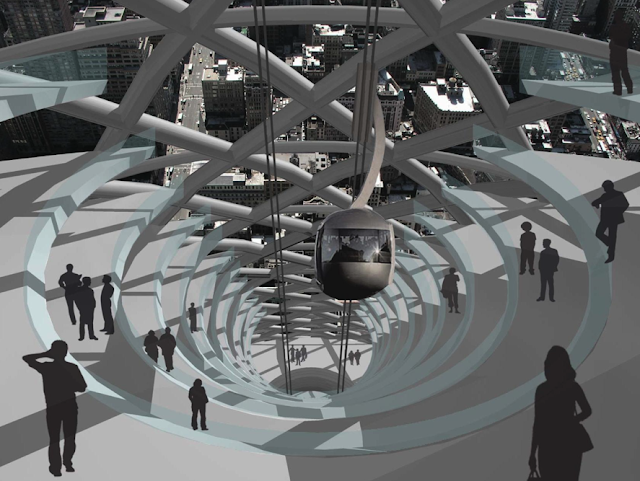 The skyscraper could link unconnected sites, or salvage topographic barriers such as rivers, or link different levels with in a city.